Knopf Books for Young Readers, 9780399555541, 320pp. The Perks of Being a Wallflower meets Revenge of the Nerds in this tale of a teen misfit who seeks to take down the bro next door, but ends up falling for his enemy’s sister and uncovering difficult truths about his family in the process. A. E. Kaplan was born in California and moved to Virginia at the age of seven, where she spent her childhood playing in the woods and reading all the folklore she could get her hands on. She has a BA in history and religious studies from the College of William and Mary and an MLS from Florida State University. Now a writer, she lives in Virginia with her family. 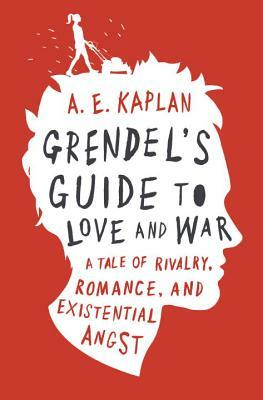 Grendel’s Guide to Love and War is her first young adult novel. Follow her on Twitter at @ae_kaplan.